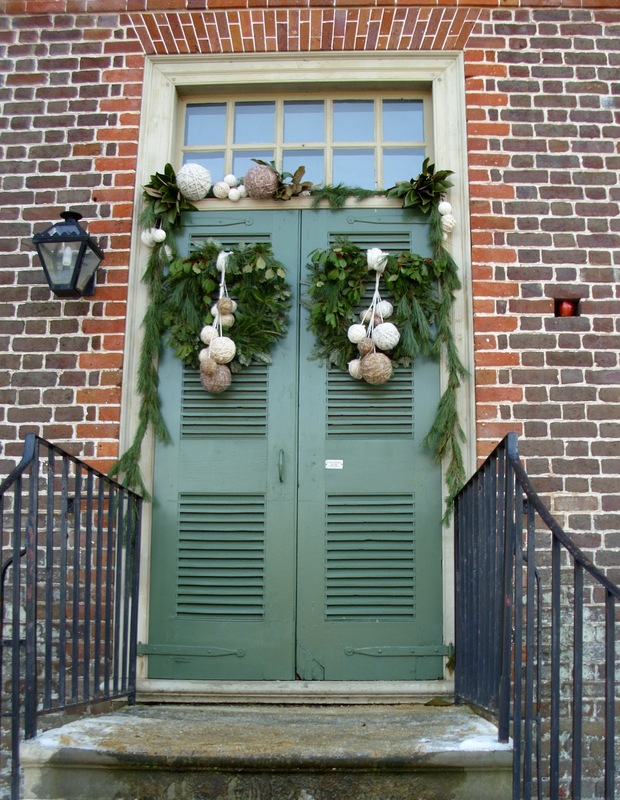 Steve and I decided it would be fun to visit Colonial Williamsburg today to see it decorated for Christmas. There is still a light snow on the ground and this made the village even more beautiful. It was cold today but they had bonfires going and we found a cute place to have hot cocoa and cookies. Enjoy the pictures. After visiting Colonial Williamsburg we stopped by Yankee Candle’s Flagship Store. Can you believe readers have voted this the 2ND best attraction in Williamsburg? This flagship store is over 10,000 square feet and they carry 400,000 candles…and I did not get even one picture of a candle? 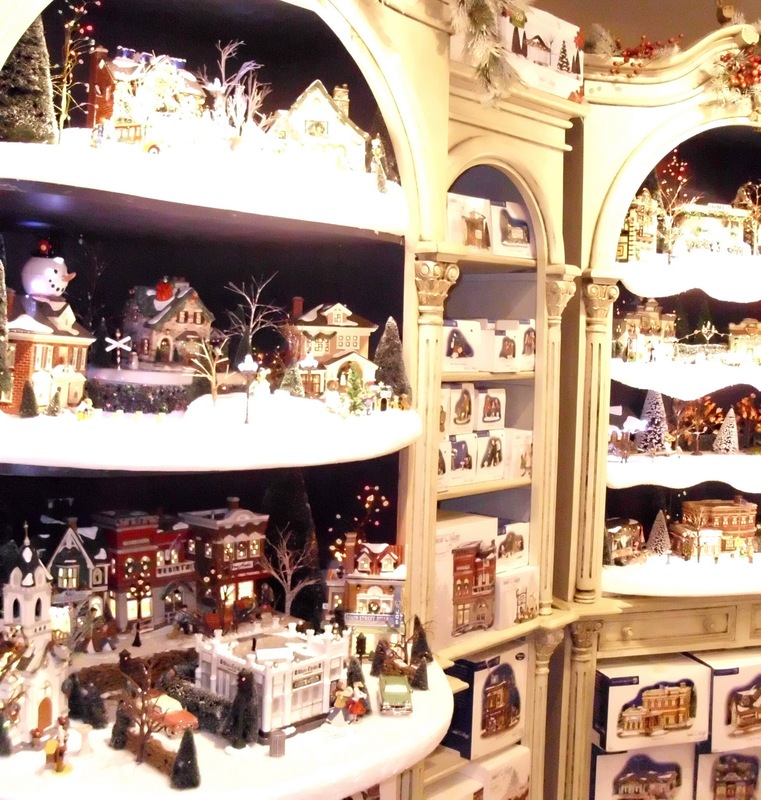 The store has a year round Christmas village set up with individual shops and hundreds of Christmas trees . It even snows in the village every four minutes. They sell a lot more than just candles. 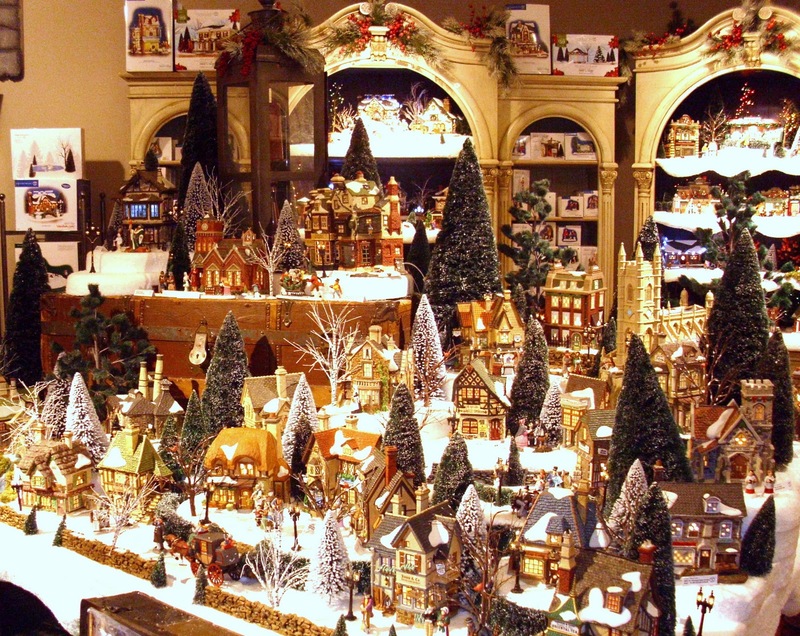 You can buy beautiful Italian dishes and ceramics, Christmas villages, jewelry, handbags, and even gourmet popcorn and fudge. It is a great place to take children, especially this time of year. They can have lunch with Santa in the cafe, make their own candles, create a wax mold of their hand and many other activities. Yes, I could not resist bringing a few candles home with me. What a wonderful place to visit! Especially at Christmas time. Thanks for sharing it with us! 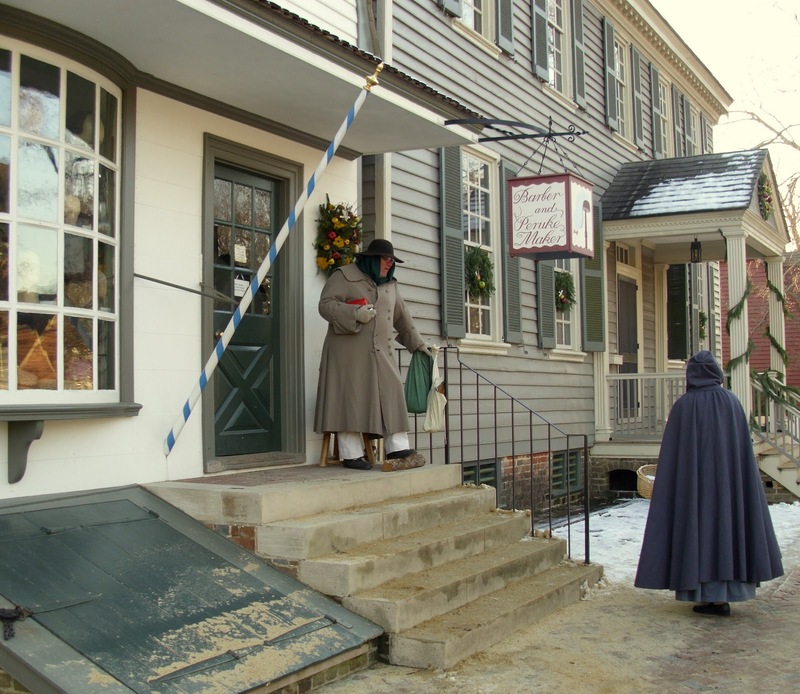 What a treat to go to Williamsburg around the holidays. You captured some beautiful images Sherry. Sherry, that looks like the best kind of day. I have never been there. Can't wait till the man retires in a few years so we can travel more. 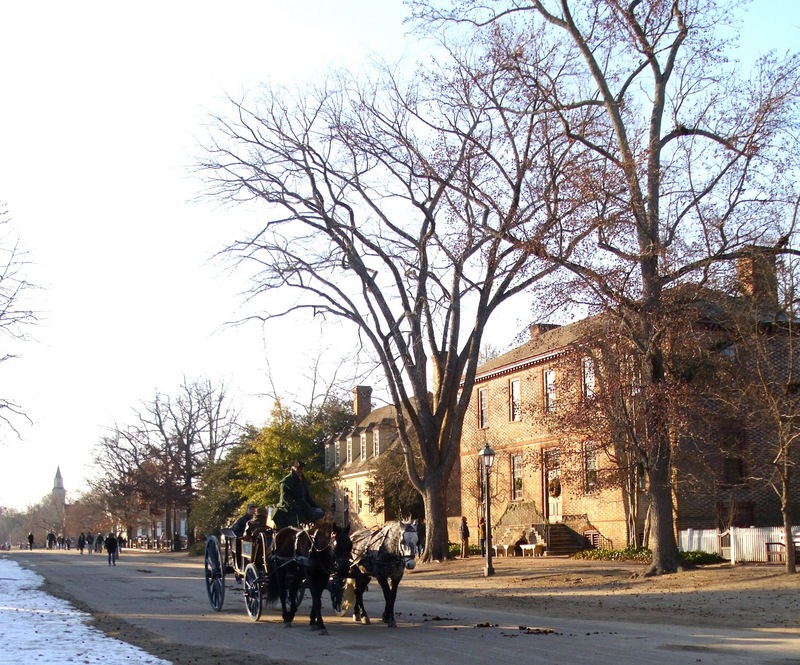 How lucky you are to live close enough to visit Colonial Williamsburg for the day, Sherry! One of my favorite places and I'd love to go again. I've never been to that Yankee Candle store, but you can bet if we make it there again, I will! my parents went there maybe 5 years ago and my mom loved all of the fruit themed decor and came home and replicated the look for the outside of her home. i really should get over there and take some pictures! it looks amazing! 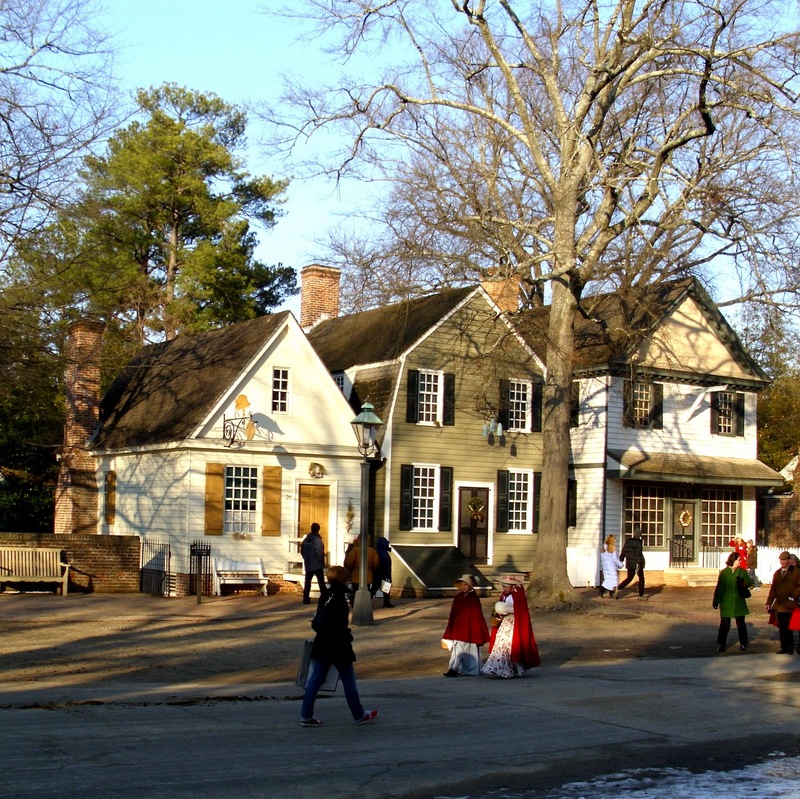 i would love to see christmastime in colonial williamsburg- it's beautiful anyways, but at christmas… wow! Happy to see your pictures. We were hoping to go to the grand illumination in Williamsburg this year to celebrate our daughter getting into William and Mary, but we couldn't get away that weekend. I adore all of the Christmas wreaths and walking around with a cup of warm cider. How wonderful that there was a bit of snow of the ground. Wishing you a lovely holiday! Sherry I have never been to Colonial Williamsburg and hope to visit one of these days. It looks amazing especially at Christmas time. Thanks for taking me on this tour. I have always wanted to see Williamsburg at Christmas! i just love the topiary wreath! Too cool! Sherry, your photos of Williamsburg are amazing!! Oh how beautiful. I can only imagine living in one of these old houses/buildings. I love the style of all of them, always have. Thanks for sharing. I would love to go there again especially at Christmas. I love the christmas village too. Thanks for sharing! There is no place quite like Williamsburg during Christmas! Our daughter went to college there and I miss going down to visit during the holidays! Thank you for taking us along for a visit! Wow- Colonial Williamsburg looks so beautiful Sherry! Our local school does Colonial Williamsburg celebrations every year- I love dressing up in old fashioned clothes and joining in the fun! Must be absolutely gorgeous in person- thanks for sharing. I love visiting Williamsburg this time of year! Did you get to see them making chocolate? It is so fun to watch, they do it from the cocoa beans taking it through the process to finished candy bars. It takes them days, but it is still fun to see the different stages! Looks like you had a great time! Your post sure brought back memories. 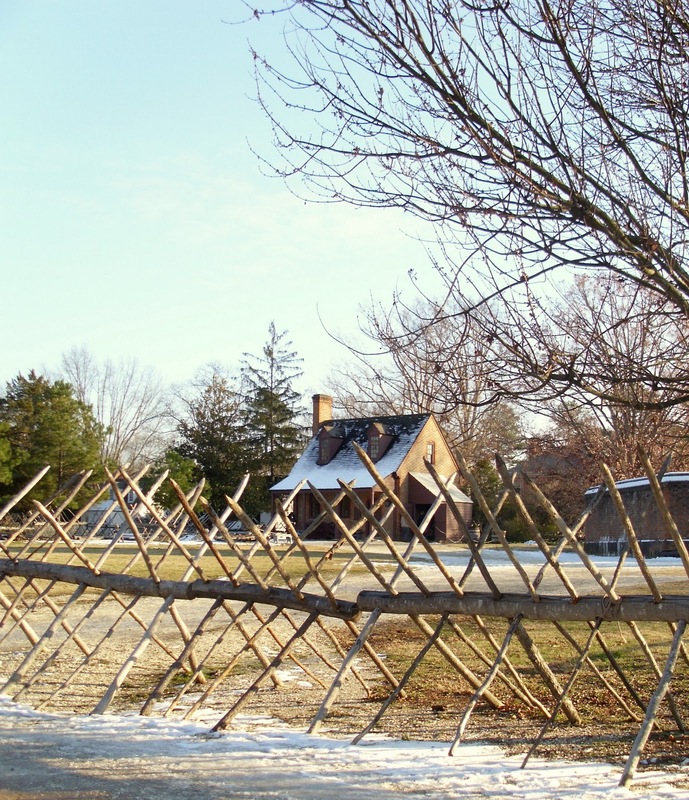 I was able to visit Williamsburg once when I was 16 years old. What a special place, especially for a young teen. I could just imagine myself living during those times. Would love to be able to go back one day. You were only a couple of hours away from me! 🙁 I haven't been in a few years but if you ever go again, we will have to meet up, Sherry! Beautiful photos. So Christmas-y and wonderful. 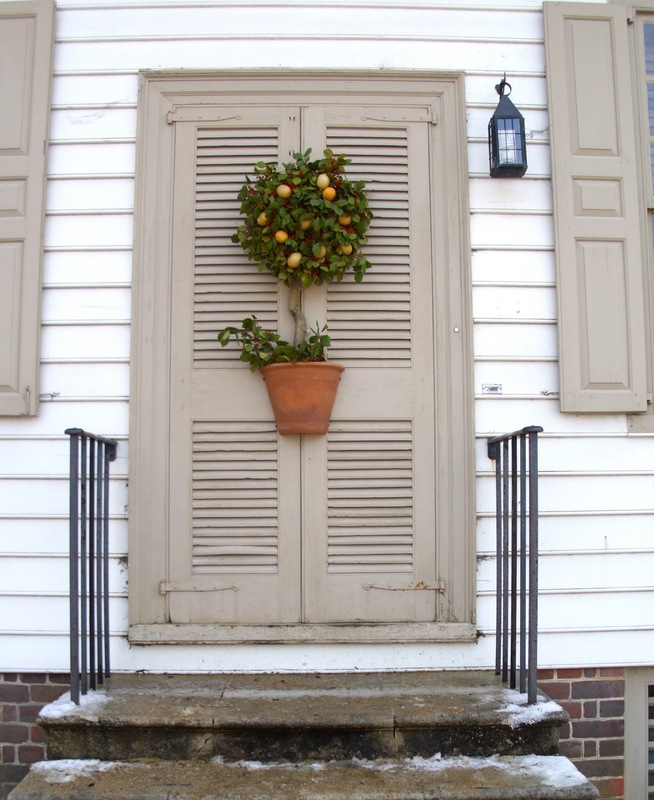 I spent many years living in Tidewater and I loved seeing your photos of Williamsburg. In high school I sang in our a'capella choir. 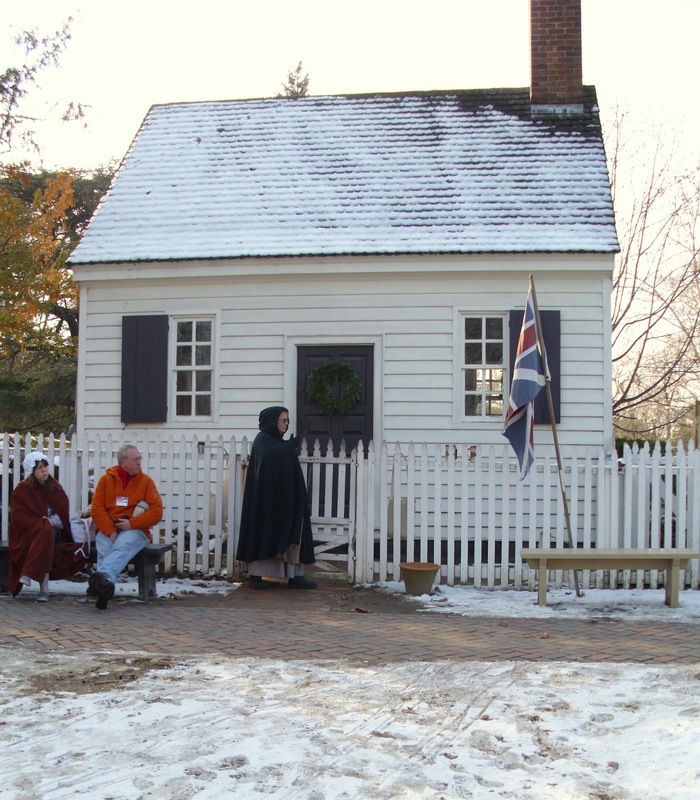 Every Christmas season we sang carols on the street corners while dressed in full colonial regalia. It was always so beautiful – especially at night. Does look cold there! All the more authentic. Love all the decorations with pieces from nature. Never thought of Yankee for village pieces but I've always loved their candles. Williamsburg is right up the road from me! Love, love W'burg! Lots of things to do anytime of the year! 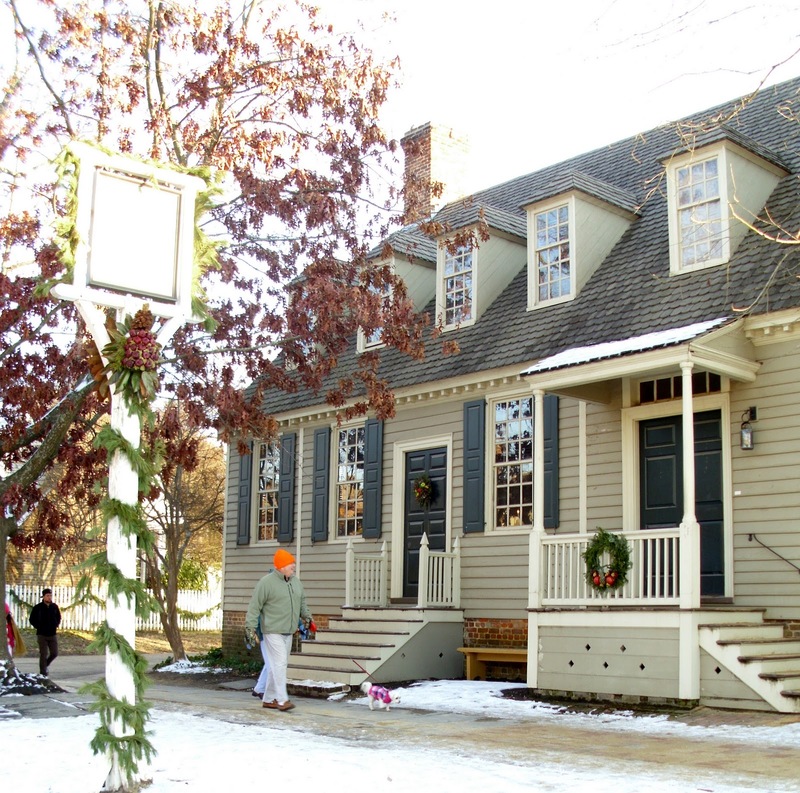 One of my favorite places to spend the holidays is Williamsburg. Thanks so much for sharing your pictures Sherry, it warms my heart. Merry Christmas. Wonderful pics and decor ideas. I didn't put my village up this year and those pics make me regret it. How fabulous! I have this on my "to do" list someday. I love everyone in their period coats and cloaks and the horses just make it so incredible. What a fun trip to make. Thanks for sharing and taking us along with you. It's been years since I was at Williamsburg and that was in the spring. So your pictures put a whole new look on it. I love the wreath with all the yellow, so different. You have stirred up some sweet memories for me! G-Man and I spent our honeymoon there before driving on to our new address in Richmond. It was quite a romantic place! We enjoyed it and went back several times while we were in Virginia. I would love to visit that part of our country some day. Thank you for sharing the pictures so that we could enjoy your visit too. Merry Christmas! Oh how I would love to visit there, especially at Christmas time. Thanks for the tour! How nice that you could get away for the day. I just love that you took the time to do that! 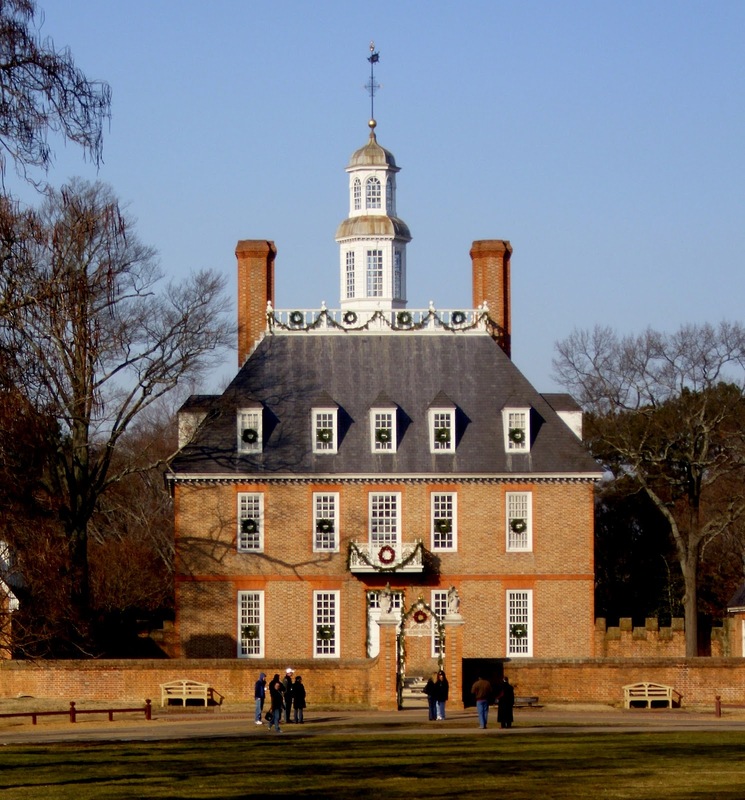 My friend, I would just love to visit Colonial Williamsburg! It looks so interesting! 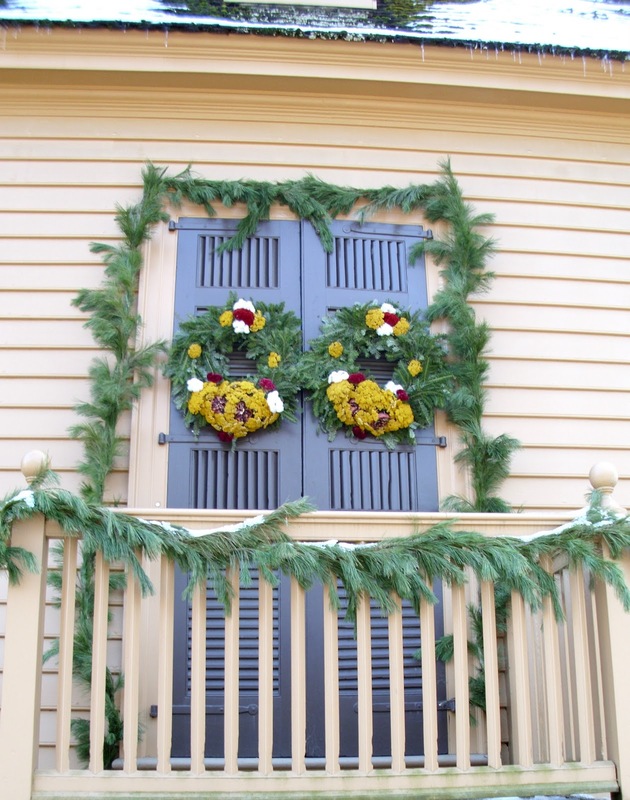 I loved seeing the old buildings and really enjoyed how they decorated their doors with all the beautiful wreaths…sooo pretty! Wow…that Yankee Candle shop is AWESOME! Ohhh yes, I would definitely want to see that shop! The Christmas village was spectacular! It sounds like ya'll had a fabulous time…thank you for sharing your day with us! Well sweet friend, I just wanted to come by to say thank you for stopping by yesterday and taking a peek at my Christmas dining room. I always enjoy your visits and sweet notes, my friend! Thank you! I'm sorry that you haven't had much luck finding mercury glass this Christmas. You know, I usually add to my collection during all the after Christmas sales. I sure hope that you can find some pretty pieces! Wishing you and your sweet family a very Merry Christmas, sweet lady! Love seeing peeps in the old traditional , colonial clothing. That is some major store, I just went to our local Yankee candle store yesterday, no where near having what your's does. Thank you for this post. I have this place on my "want to go visit" list. Wow, What can I say Sherry. I can't believe a colonial town like Williamstown even exists. I should be there. It looks amazing. My son will be blown away when I show him this quaint village. Thanks for sharing. Thankyou for hosting a xmas linky party. Merry Christmas to you and yours. My daughter lives in D.C. and the next time I visit that is on the agenda….thank you for the tour and I have been to Yankee Candle in MA and it is so unbelieveable, hard to describe! I love Williamsburg! My sisters and Mom all graduated from William and Mary … just a beautiful area. It's absolutely beautiful there this time of year and certainly puts one in the Christmas spirit. Thanks for sharing! I'd so love to visit at Christmas…your photos are just gorgeous. My idea of what heaven will look like! Oh I love Williamsburg! Haven't been there in years. Now you've inspired me to get to one of our quaint New England towns that is similar this week (Old Sturbridge Village maybe?). 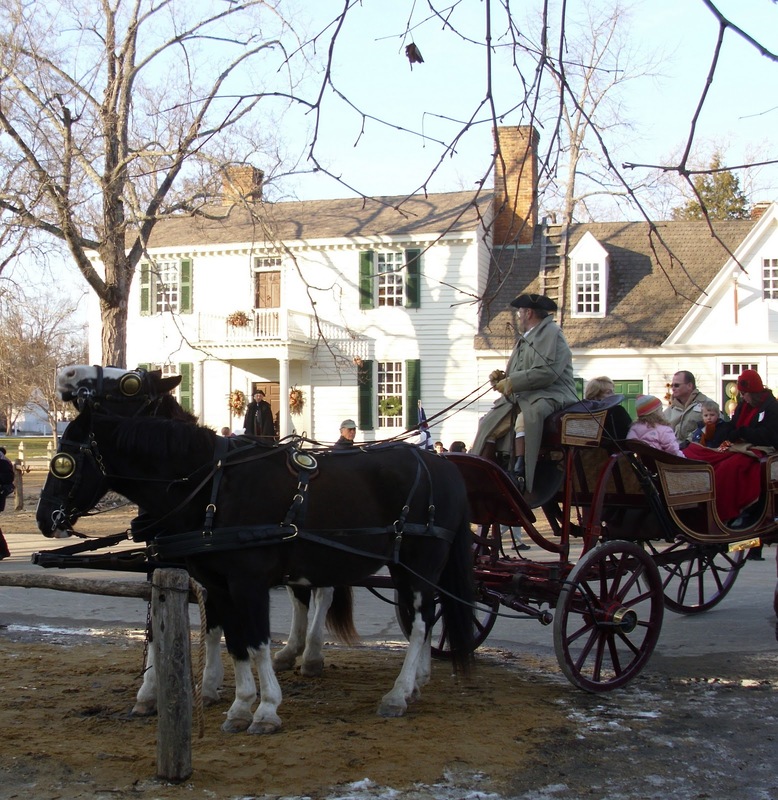 Colonial Williamsburg must be very special at Christmas time. Thanks you, Sherry for bring a friend and an inspiration. Have a wonderful Christmas! WOw, the pictures are magical!!! What beautiful pictures! Williamsburg is a very favorite place of my husband, older daughter and mine. No trip this year but can;t wait until this coming year. Happy New Year! oh boy, I can see I need to plan a trip next Christmas! Lovely! Beautiful photos! I'd love to see that one day.